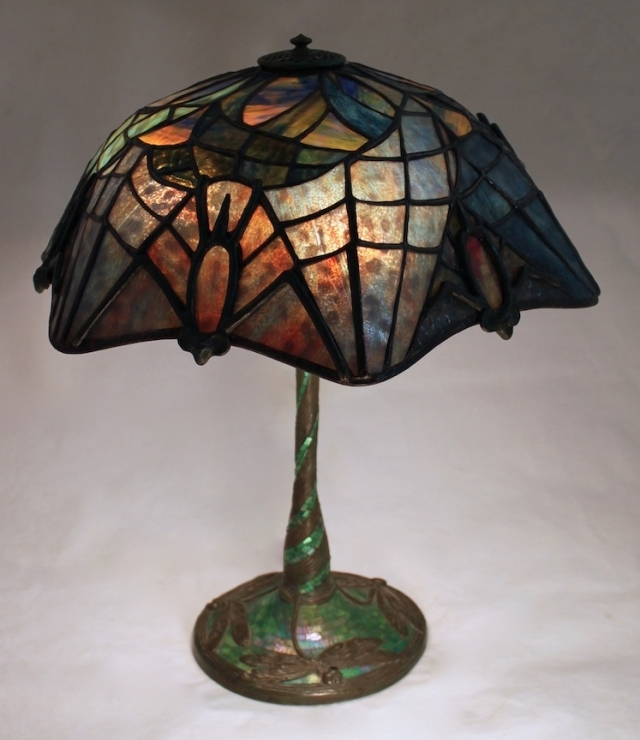 The 17″ Bat is one of the more unusual Tiffany Studios shade designs. There are three known examples of the shade with a trio of bats flying against a night sky, and only one example of this variation with six overlapping bats. At Century Studios, we offer both versions of this unique design. Each bat is defined by a three dimensional cast bronze head and body. Commissioned in 2015 by a client in North Carolina, the shade is shown on the Dragonfly Stemmed Mosaic base.